The thought of Iran, regime change, freedom and democracy in Iran and all the brave men and women who fight for these ideals on a daily basis occupy a lot of my time. For a long time I have looked for answers on how things can change... and the fact that I have not come up with a satisfying answer has been quite frustrating. However for the first time tonight I came to a realization, it's OK not to have all the ANSWERS, what is important is to have QUESTIONS, as long as we continue to form questions, to think about issues and not to accept things at face value there is still hope that we can bring change, even great change to Iran. On the day we feel like we know everything and have all the answers ( like many unfortunate souls who are lost in their ignorance) is the day all hope will be lost and there will be no chance for a better Iran. In my experience I have always found that those who felt like they knew everything were the exact people who were the most ignorant and did not know anything. As long as I have questions I will always feel fortunate, even if I don't always have the answers. 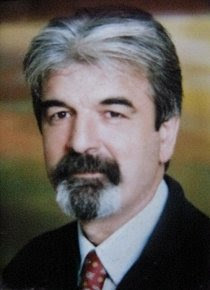 According to news received from Section 6 of the Gohardasht Prison on Saturday August 22nd 2008, Dr. Mostafa Alavi was transferred to Branch 3 of the Revolutionary Court to receive his sentence. Dr. Alavi was transferred to court with handcuffs, his feet were also cuffed. Once at court he was informed that he had been sentenced to 15 years of imprisonment. Dr. Alavi sufferes from numerous illnesses including diabetes, intestine and heart problems, as well he has lost most of his vision on his left eye. Dr. Alavi was arrested under the order of Hassan Zareh Dahnavi on Esfand 1935 and after spending some time in Section 209 of the Evin Prison, he was transferred to Gohardasht Prison on Shahrivar of 1386. 7. Ms. Zeynab Bayzeydi- 4 years imprisonment. Human Rights and Democracy Activists in Iran condemn the arrest and the lengthy sentences imposed on political prisoners and urge the international community to voice their concern and help put a stop to the inhumane treatment of political prisoners in Iran. According to news received from Tehran on Friday August 22nd 2008 12 student activists were arrested in Laleh Park by officers from Division 3 of the Intelligence Ministry. All 12 students were transferred to Division 3 of the Intelligence Ministry. Five of the students arrested were women. 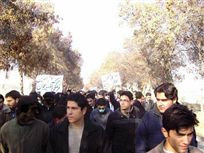 Number of students who were arrested had previously been involved in the commemoration of the December 7 Student Day and had spent a lengthy period of time in Section 209 of the Evin Prison. All the female students who were arrested with the exception of Ms. Elham Ehsani were released on bail. As well an unnamed male student was also released on bail. Those released on bail were told to report to the police station on Saturday August 23rd 2008. The families of these individuals went to the police station to find out about their children’s’ situation; however the only answer they received was that their children were arrested for participation in an illegal gathering in Laleh Park. The families of these students spent most of the night in front of the police station. The Human Rights and Democracy Activists in Iran condemn the new wave of mass arrests of activists and urge all human rights organizations to take steps to bring Islamic Regime’s human rights violations before the United Nations Security Council. Mahboubeh Karami was charged within the past week with "acting against national security," and the Revolutionary Court in Mahabad has scheduled her next hearing for 1 November, according to her lawyer. She has been held in Evin Prison in Tehran since 13 June. Amnesty International believes the charge is false, and that Mahboubeh Karami is a prisoner of conscience, detained solely for the peaceful exercise of her right to freedom of expression and association. About 200 women who were arrested with her have all been released. Mahboubeh Karami’s lawyer was only recently allowed to see the court documents concerning her case and will shortly be meeting with her for the first time. The court set bail of one billion rials (approximately US$110,000) on 12 July, but her family have been unable to raise such a large amount. According to news received from Human Rights and Democracy Activists in Iran execution of Reza Hejazi has been postponed. Mr. Hejazi is a young offender who was taken to solitary confinement to await his execution which was scheduled for today (Tuesday, August 19th 2008 at 4:00am). A press release was issued by Human Rights and Democracy Activists in Iran yesterday afternoon, urging all international human rights organizations to help stop the execution of Mr. Hejazi. Thanks to the relentless efforts of numerous international human rights organizations the execution of Mr. Hejazi has been postponed. For a more detailed report in Farsi please refer to the website of Human Rights and Democracy Activists in Iran. Due to major differences in political views I have decided to leave The Voice of Human Rights in Iran and am no longer affiliated with it. I wish them the best. According to news received from central Prison in Esfehan today Reza Hajazi was transferred to solitary cells along with three (3) other individuals to await execution. Mr. Hejazi was convicted of murder at the age of 15 in 2004. According to his family he is to be executed at 4:00am on Tuesday August 19th 2008. Although many international human rights organizations have voiced their concern and condemned the execution order, Saeed Mortazavi the Prosecutor General has ordered for the execution to be carried out. The family of Reza Hajazi has asked all human rights activists and organizations to take immediate steps in the few remaining hours to help stop the execution of their son. Further today three (3) other prisoners (named below) were transferred to solitary cells to await execution. 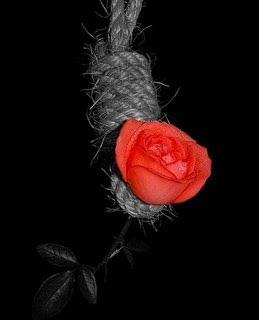 It must be noted that Bijan Shah Mansouri (30 years old) who was imprisoned for about three (3) years in Ward 4 of Esfehan Prison, was transferred to solitary cells on Tuesday August 12th and executed on Thursday August 14th 2008. However the General Prosecutors Office has not allowed for the publication of this news. Human Rights and Democracy Activists in Iran condemn the execution of young offenders as well as execution of prisoners in general and urge all human rights organizations to take immediate steps to help save the life of Reza Hajazi. According to news received from Sepaydar Prison in the city of Ahwaz, Mr. Javad Alikhani who is a veterinarian student at Chemran University was transferred to solitary cells in the Ministry of Intelligence detention centre in June. Without any legal reason Mr. Alikhani was transferred to solitary cells in a secret Ministry of Intelligence detention centre on June 20th 2008. While in solitary confinement for 45 days he was subjected to brutal physical and psychological torture. 3. being held in an extremely hot cell with a closed window and no air circulation. The interrogators who subjected Mr. Alikhani to torture were hoping for a confession from him. For the past 10 months Mr. Alikhani has been in custody in a very uncertain legal state, without bail, trial or even a trial date. Mr. Alikhani’s family reside in the city of Karaj and need to travel a very long distance and spend a large some of money to be able to visit their son. During the 45 days Mr. Alikhani spent in solitary confinement his family had no news of his whereabouts or health. Mr. Javad Alikhani was arrested on October 20th 2007 along with numerous other student activists in Chemran University in the city of Ahwaz. All other students who were arrested were released on bail with the exception of Mr. Alikhani. Mr. Alikhani has been tried in two different courts. On April 30th 2008 he was tried in the Revolutionary Court and acquitted of all charges. Further on June 8th 2008 he was tried in a criminal court before an individual called Ali Saki. He was once again acquitted, but again informed that he would have a re-trial on September 6th 2008. In order to keep Mr. Alikhani incarcerated the Regime is setting up numerous unnecessary trials with dates that are very far apart. Individual who has a role in constantly bringing new charges against Mr. Alikhani and not granting him bail is named Barani who is a persecutor in Section 1 of the Revolutionary Court in Ahvaz. He is a former interrogator who worked for the Ministry of Intelligence. Human Rights and Democracy Activists condemn the arrest, imprisonment and torture of this activist and urge all human rights activists and organizations to take immediate steps to help the immediate and unconditional release of Mr. Alikhani. I urge all human rights activists and groups to support Mr. Daneshpazir in this very difficult time. As many of you may be aware Ahmad Daneshpazir is a blogger and a political activist. Mr. Daneshpazir was arrested in his home on February 12th 2008 based on an arrest warrant from the Revolutionary Courts. Mr. Daneshpazir spent 3 months in Section 209 of the Evin Prison where he was interrogated. Mr. Daneshpazir’s son Damun Daneshpaiz was also arrested on March 2008, because of his contact with human rights activists/organizations and the media, and his request for help in regards to his father’s situation. He was also taken to Section 209 of the prison where he was interrogated for one week after which time he was released on bail. Both Mr. Ahmad and Damun Daneshpazir have been charged with “acting against the Regime” which carries a jail sentence of 3-12 months. On August 13th 2007 both Mr. Ahmad and Damun Daneshpazir reported to Section 15 of the Revolutionary Court before Judge Salvati, based on a summon they had received 2 months earlier. However the trial did not go forward and was adjourned to August 13th 2008. However on August 13th the trial was once again adjourned and an arrest warrant was issued for Mr. Ahmad Daneshpazir. He was arrested and taken to the Evin Prison. According to Mr. Damun Daneshpazir his father is in a very bad physical state. Mr. Damun Daneshpazir has asked for help and support from all human rights activist and organization in regards to his fathers situation. من سایه حسن وکیل فعال حقوق بشر در ۱۳ ژوئیه‌ سال جاری یک خط تلفن مستقیم از ایران را از یک کمپانی به نام «تلفن لین» خریداری کردم تا از این طریق زندانیان سیاسی و خانوداه‌هایشان بتواننند بدون هزینه با من تماس بگیرند. به همین منظور مبلغ ۳۵ دلار پرداخت و شماره تلفن ۹۸۲۱۸۲۱۸۵۳۰۱ را دریافت کردم. من نمی‌دانم، شاید این گروه مورد اعتماد جمهوری اسلامی باشد که هنوز می‌تواند از این شماره‌ها بدون مشکلی استفاده کند. افراد این انجمن (آقای کیوان رفیعی و آقای اسفندیار بهار)کارهای خود را از شهر وان ترکیه اداره می‌کنند. هرچند، همه زندانیان بر این بوده‌اند که این دو فرد در ایران هستند و چون در راستای‌ اهداف جمهوری اسلامی عمل می‌کننند پس کانال ارتباطی‌شان فعال است. نگرانی من این است زندانیان سیاسی با تماس با این گروه جان خود را به خطر بیاندازند. روشن است که این خطوط توسط رژیم ایران کنترل می‌شوند و احتمالا این اطلاعات بر ضد زندانیان سیاسی استفاده می‌گردد. امیدوارم اعضای این گروه به جامعه‌ی بین‌المللی، زندانیان سیاسی و خانواده‌های آنها توضیح بدهند که چرا خط‌های تلفن آنها در این مدت قطع نشده و نیز چرا با وجود اقامت در خارج از کشور به زندانیان سیاسی این را الغا کرده‌اند که در ایران به سر می‌برند. According to the latest news from Human Rights and Democracy Activists in Iran another prisoner has been sent to solitary cells to await execution. According to news received from Dastgerd Prison in the city of Esfehan on Tuesday August 12th 2008 a prisoner in Esfehan Prison was transferred to solitary cells to await execution. This prisoners name is Bijan Shah Mansouri, he is 30 years old and has been imprisoned in Section 4 of the Esfehan Prison for the past three (3) years. It is reported that about 100 people are on death row in Esfehan Prison, number of them being young people under the age of 18. According to Islamic Regime’s state controlled media 39 people have been executed in the past 2 weeks. The person approving and ordering the executions is Shahroudi, the head prosecutor in prosecutors’ office. Human Rights and Democracy Activists in Iran condemn the mass executions in Iran and urge the United Nations Office of the High Commissioner of Human Rights and other international human rights organizations to act immediately to help stop the mass executions in Iran. Helale Mohammadzadeh is an Iranian woman on death row. She was convicted of murder at the age of 27, however she has always maintained that death was a result of self defence. She has been imprisoned in the central jail in the city of Mahabad for the past 8 years. She has been waiting for a verdict from the Iranian Supreme Court regarding her death sentence for the past 4 years. This lengthy 4 year wait, along with the psychological pressure of having to face a death sentence has been extremely difficult on Ms. Mohammadzadeh and has caused her great psychological pressure. Ms. Mohammadzadeh is in desperate need of a defence lawyer and is seeking the help of all human rights organizations and humanitarian lawyers in this regard. The Voice of Human Rights in Iran announces its support for Ms. Mohammadzadeh, and will do everything in its power to help her receive justice. According to the latest news received from Section 4 of the Gohardasht Prison in Iran Both Mr. Khaled Hardani and Mr. Mansour Radpour are on the 3rd day of their hunger strike. Mr. Hardani and Radpour started their hunger strike on August 5th 2008 in response to the increased physical and psychological torture towards political prisoners in Gohardasht Prison. Mr. Hardani and Radpour have written a letter to the prison officials setting out their demands, however there has been no response from the prison officials in regards to this hunger strike. It must also be mentioned that Mr. Radpour was taken to an unknown location yesterday (August the 6th) at about 10:30 am, and up until this point there is no news about his whereabouts, safety and well being. This is a great cause for concern for The Voice of Human Rights in Iran. A copy of the letter in Farsi can be found on the website of Human Rights and Democracy Activists in Iran. 1. The recognition of political prisoners in Iranian Prison. 2. End to the oppression and inhumane treatment of political prisoners and their families. 3. Separation of political prisoners from non-political and dangerous prisoners. 4. End to the mass executions which have been taken place in the last month in Iran. 5. A visit from an independent committee appointed by the United Nations to the Rajaishahr Prison to see and investigate the current inhumane treatment of political prisoners. Two doctors with HIV & AIDS expertise are in custody. Is their imprisonment justified? Are they protected from ill-treatment? According to the latest news received from the Gohardasht Rajaishahr Prison, through a telephone conversation with a political prisoner Mr. Khaled Hardani, Mr. Hardani and another political prisoner Mr. Mansour Radpour have gone on a hunger strike due to extreme physical and psychological pressure put on political prisoners by the prison officials in Section 4 of the Gohardasht Prison. The recent pressures are due to the fact that the political prisoners in Section 4 had organized a memorial for the 2nd anniversary of Akbar Mohammadi’s (a prominent political prisoner) murder in the Islamic Regime Prisons. The hunger strike started yesterday, Sunday August 4th 2008, after Mr. Hardani and Mr. Radpour wrote a letter of protest against one of the head guards “Jaruyi”. There is a possibility that other political prisoners might join the hunger strike as well. We will publish any further news that may come from Gohardasht Prison in this regards. Mr. Alidad Hassani (Engineer), born on March 3, 1957 in the city of Shiraz is a human rights activist, and one of the first people who protested against the discriminatory laws against women and one of the members of the One Million Signature Campaign. The goal of the One Million Signature Campaign is to gather One million signatures in support of changing discriminatory laws against women in Iran. Mr. Hassani was attacked and arrested by the Ministry of Intelligence Officials in July 7th 2007. During interrogation Mr. Alidad Hassani was subjected to severe physical and psychological torture by the Ministry of Intelligence Interrogators. Both Mr. Hassani and his family, including his wife were put under great pressure in order to keep quiet and not to report Mr. Hassani’s situation to any human rights organizations. Mr. Hassani was also personally threatened by the prison warden that if he or his family were to report his situation to human rights organizations, he would be transferred to the most dangerous section of the prison where those convicted of murder and other highly dangerous crimes are imprisoned. It must be noted that Human Rights Watch has reported on Mr. Hassani’s situation including the circumstances of his arrest and charges in their 2007 annual report. After extensive interrogations Mr. Hassani was transferred to the “Adel Prison” in the City of Shiraz. For a number of months after his arrest he was deprived of even his most basic rights including the right to a lawyer and the right to visitation with his family. Later on a lawyer named Mr. Karim Sadighi took on Mr. Hassani’s case and was able to get him bail in the amount of 100 million toman. This amount however was too high for the Hassani family and Mr. Hassani remained in jail for further sometime until the bail was reduced to 50 million toman and he was released on bail on December 7th 2007. However Mr. Hassani’s freedom was short lived and on January 14th 2008 he was summoned to the Revolutionary Courts again. Mr. Hassani had originally been charged with organizing anti-regime gatherings, making anti-regime speeches, acting against national security and being in contact with anti regime organizations outside Iran. No further charges were laid against him on January 14th 2008 when he was summoned to court however he was re-arrested and sent to prison. His family who attended at the Revolutionary Court in Shiraz in order to obtain information about his whereabouts and to arrange for a visitation were faced with extreme brutality by the police (Niruye Entezami). 21 days after his arrest Mr. Hassani was still not allowed to have visitations which caused great concern for his family who were extremely concerned about his health and well being. On February 6th 2008 Mr. Sadighi was finally able to secure Mr. Hassani’s freedom from jail. Upon his release Mr. Hassani stated that once again he had been subjected to the most brutal physical and psychological torture in order to coerce him into doing a televised confession. However in spite of the torture Mr. Hassani has refused and indicated that as long as there was discriminatory laws in Iran he would continue his human rights activities. Soon After his release Mr. Hassani’s son Kamran Hassani was arrested on March 9th 2008 on the charges of drawing caricatures which insulted the Supreme Leader and other high government officials. Since his arrest there has been no information about his whereabouts or well being. A few days ago the Hassani Family received a threatening phone call indicating that Kamran would be killed if they were to inform any human rights organizations of the current situation of Kamran. They were further threatened that since Mr. Alidad Hassani’s case had not yet been finalized, he could be sentenced to death if he or his family tried to contact any human rights organization in regards to Kamran’s situation. It must be noted that the oppression of human rights and political activists in Iran has greatly increased in the past year and many have been sentenced to long prison terms and even execution. We urge all human rights organizations to take immediate action to help the Hassani Family and in particular to ask for the immediate and unconditional release of Kamran Hassani. 12 of an original 24 students remain in secret custody following their arrests earlier this month. Mohamad Zerati and Farzad Hassanzadeh, were both arrested on 3 or 4 July, have had their bail set at 30 million rial ($3,229.9742 USD). Their place of detention remains unknown.